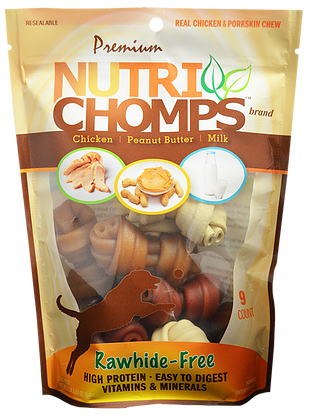 Nutri Chomps are 100% Rawhide Free and made with real proteins. Milk, Peanut Butter and Chicken-flavored knots offer the ultimate combination in this 9-count package. 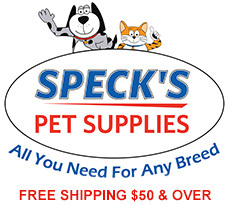 These 3-4" assorted knots are Vitamin & Mineral Enriched and recommended for dogs weighing 20-40 lbs.